Normally, on the day after the Super Bowl we conduct a review of the advertising, and we'll get to that in tomorrow's installment. However, for today, I'd be negligent if I didn't tip my hat to the greatest Super Bowl ever played. Atlanta had the game won. Late in the 3rd quarter, they were up 25 points. Mathematically, it'd be possible for Brady and the Patriots to come back, but they'd need to score on every possession, stop Atlanta on every possession, and stop them quickly. Not only that, but New England would need two late touchdowns, plus two-point conversions for both of them. Failure of any of it meant a loss. 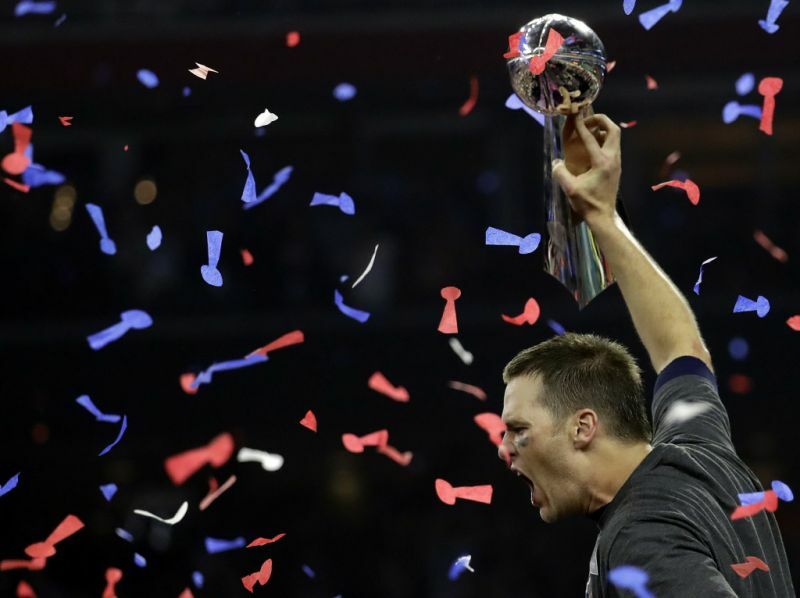 However, the Patriots were damn-near perfect in their execution, and for the first time in the history of the Super Bowl the game was forced to overtime. Upon winning the flip of the coin and receiving the ball, pretty much everyone knew that New England would drive down the field, and that is exactly what they did. Their only mistake was a potentially catastrophic one, as Brady forced a pass to Bennett that easily could have been picked off. Regardless, Atlanta failed to make the play, and in a microcosm of the game itself, Brady was given a chance to hang around, and when you do that you ultimately pay. With this latest victory, Brady has cemented himself as the greatest NFL quarterback to every play the game. What a warrior. What a winner.